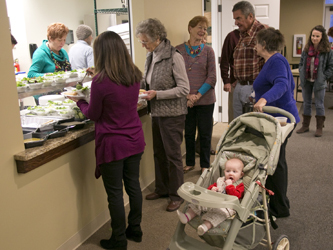 Wednesday evenings are special times at First Baptist Church. In the middle of our busy week, we slow down briefly to connect with one another over a good meal. 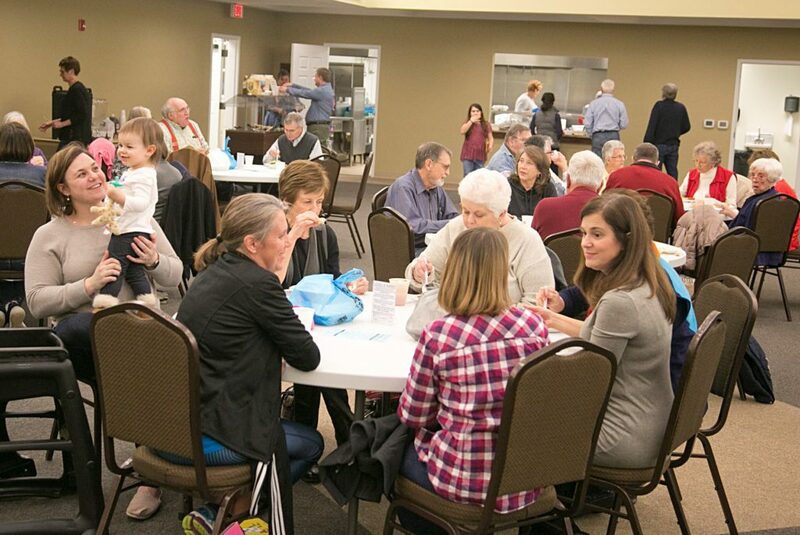 Fellowship is important at FBC and we look forward to these times of getting to know one another better and catching up on the latest happenings in each other’s lives. We especially like getting to meet and know new people! 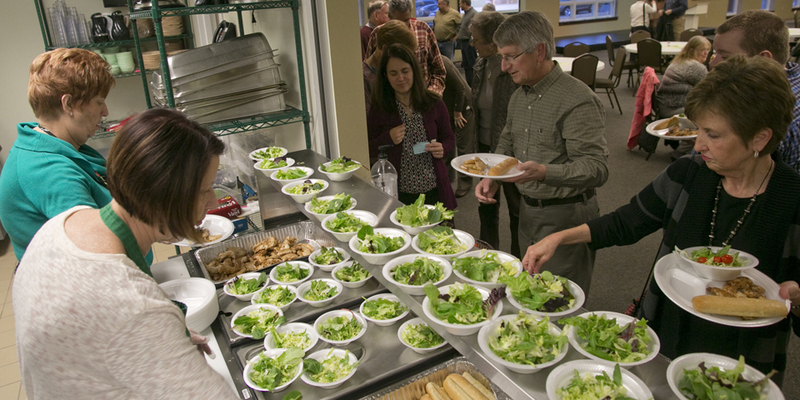 Coming to the Wednesday Night Supper is a great way for newcomers to learn about First Baptist in a relaxed atmosphere. All are welcome! Meals are served starting at 5:30 p.m. and going through 6:15 p.m. All meals are catered by Countryside Bar-BBQ and are $6 per person or $20 maximum per family with children. Add a salad for $1 per person. For more info call the church office at (828) – 652 – 6030. Come eat with us! We would love to have you!